Around 50% of a Barf diet for dogs should consist of meaty bones. Meaty bones can be used from many animal species. An important thing to pay attention to is the structure of the bones. Not all meaty bones contain the same ratio of meat to bone; the ideal ratio would be 1:1. When a bone contains little meat, it must be complemented with extra meat. Another factor is the structure of the bone; hard bone contains more calcium than soft bone. Therefore it’s important to pay attention to the faeces of your dog or cat. When the faeces are hard, this usually means that there’s too much bone in the diet or the bone structure is too hard. A balanced Dog BARF Diet (raw dog food) contains on average 15% organ meat. 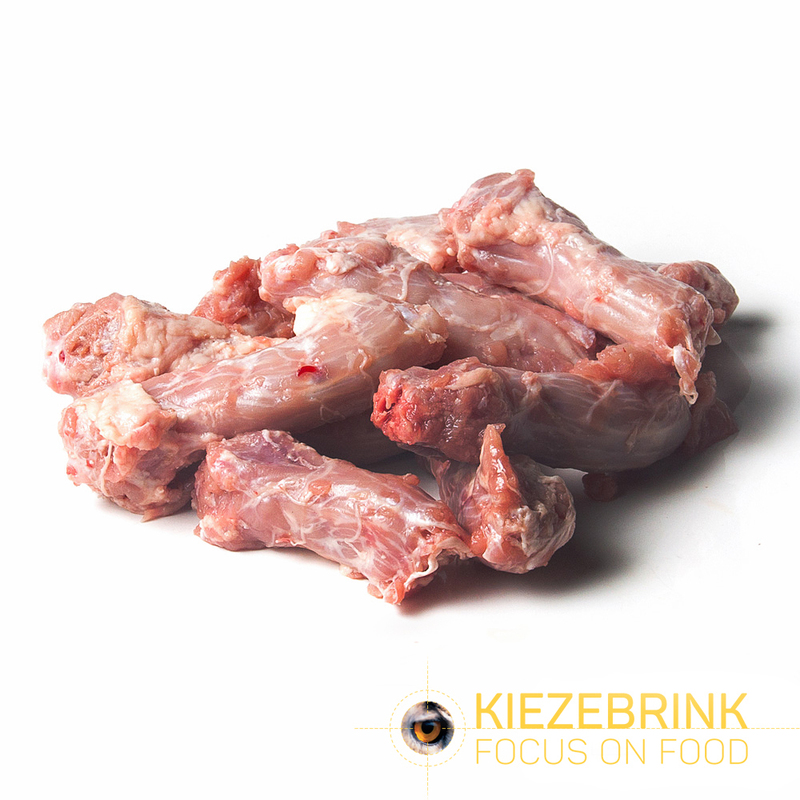 It’s important to vary the diet with differing organs such as; heart, tripe/rumen, kidneys, lung and liver. We advise to feed some liver but no more than 5%. This is because liver can have a laxative effect on animals and there are also risks of vitamin overdosing. When a dog or cat has too loose a stools this may be an indication of too high a proportion of organ meat in their diet. 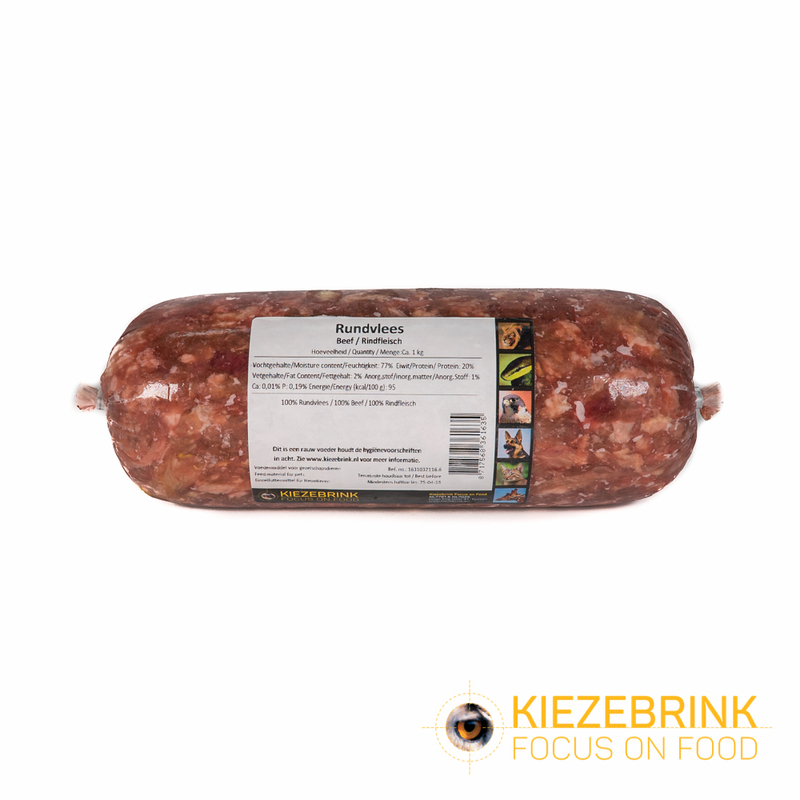 Muscle meat is an important source of amino acids, zinc and vitamin B12. We advise to feed on average 30% muscle meat. This part is very dependent on the amount of meat on the meaty bones that are being fed. Finally the Cat BARF Diet or Dog BARF Diet can be complemented with seeds, vegetables, fruit, eggs and oils. These additions can supply extra vitamins, minerals, fibres and fatty acids. When for example fish is not fed each week, this can be compensated by adding fish oil. It’s not only important to vary with organ meat, muscle meat and meaty bones, but also to vary the protein sources. It is advised to feed each of the following at least once a week; red meat, white meat, game and fish.